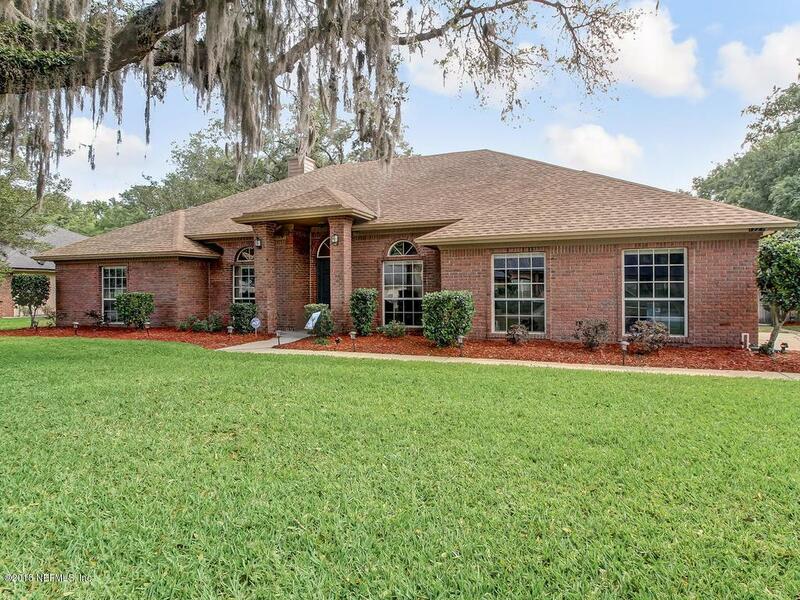 All brick 4 bedroom, 2 bath home on a large corner lot on a cul-de-sac street. 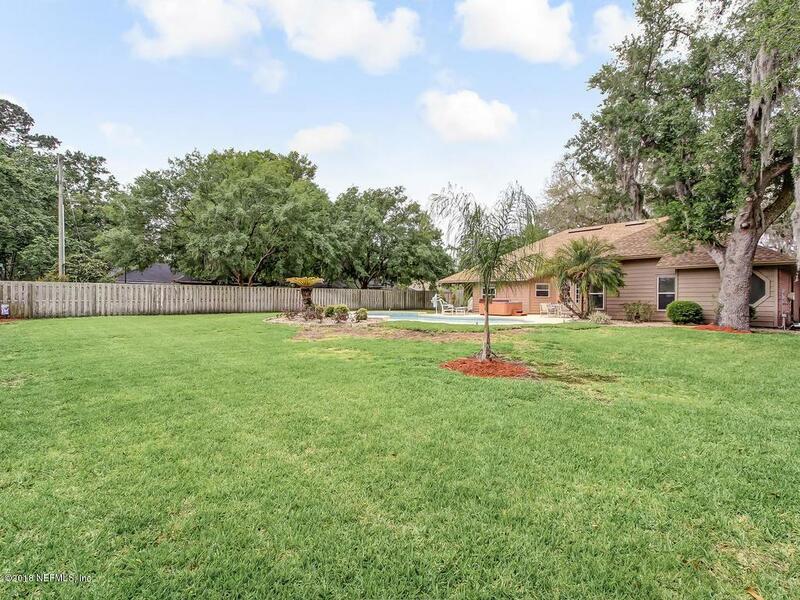 Sparkling in-ground pool and a hot tub complete the large fenced backyard. Inviting foyer and a formal dining room featuring crown molding, chair rail and wainscoting. Spacious kitchen with a walk-in pantry, large food prep island with seating and high end cabinetry featuring crown molding with rope trim and soft close drawers. 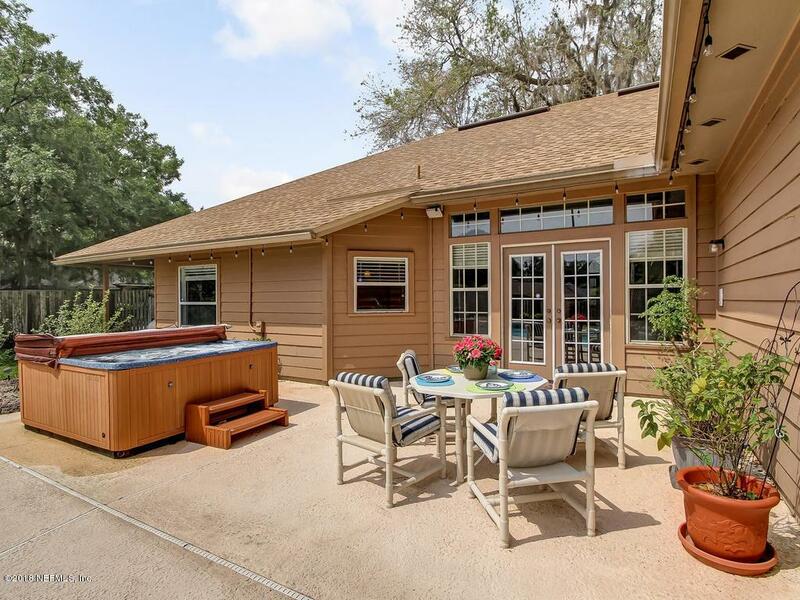 Open family room has a wood burning fireplace and French doors leading to the patio and pool area. Private master suite overlooking pool area has a large walk-in closet and bat has sep. vanities, walk in tiled shower and corner soaking tub. Home has split floor plan & addt'l bedrooms are spacious with brand new carpeting. Nice size laundry room with built in cabinets.There is a 2 car side entry garage and sprinkler system. 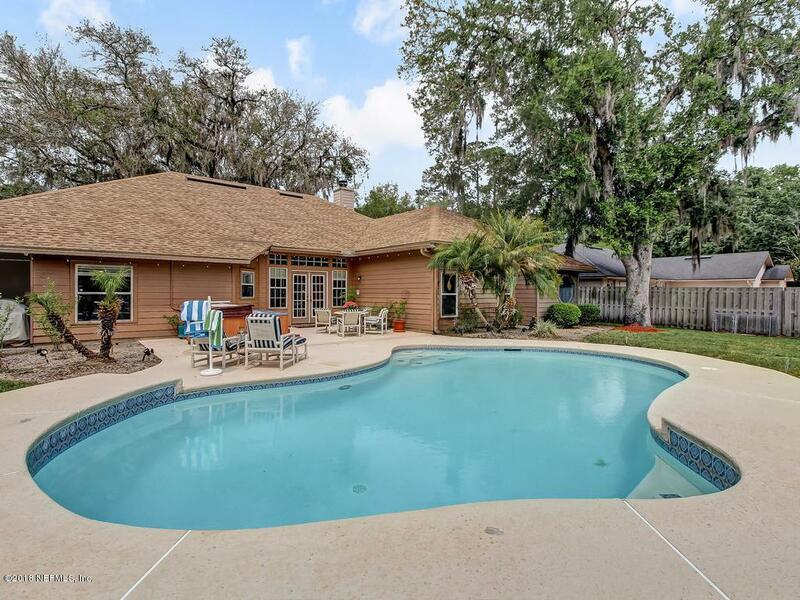 Ideal location in the heart of Mandarin, just minutes from shopping, dining and more!